The Gay Alliance of the Genesee Valley has a distinguished history of education, advocacy, and service to the LGBTQ community in the Rochester area. It represents the strength and resilience of the LGBTQ community, and it has often been held up as a symbol of the city's progressive values. For more than 40 years, there's never been any question about the organization's guiding principles or what it stands for because the name said it all. 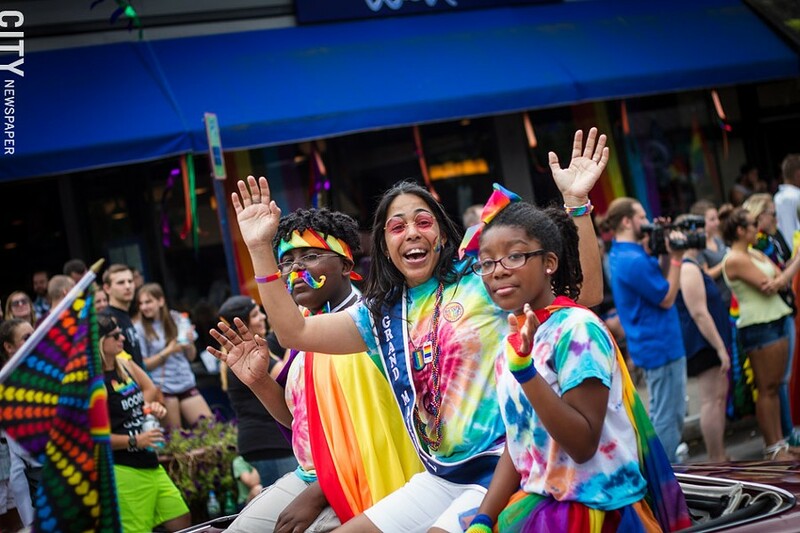 Marchers were having fun at this summer’s ROC Pride Parade. But next month the Gay Alliance is changing its name to Out Alliance, a move some in the LGBTQ community will applaud and others may find controversial. The name change is part of a much larger evolution for the organization that began about two years ago, says Scott Fearing, executive director. A decision to move from the Gay Alliance's secluded East Main Street office in the Auditorium Theatre building to a visible, street-level location on College Avenue has in some ways mirrored the coming out of a different organization, he says. This one, however, doesn't necessarily identify as gay. The term is dated, Fearing says. "By changing our name, I think we're acknowledging what's happening today," Fearing says, "and we're charting our future." During the last two years, the Gay Alliance has experienced unprecedented growth, much of it a result of its new location. It's less hidden and more open and participatory, says Fearing. The organization gave more than 200 educational workshops last year, including many out of state. And it's gone from being a predominantly grant-funded non-profit to one that is about 95 percent non-grant funded, while building an impressive endowment. And as many as 800 people went through its doors each month in 2016, a 1,400 percent increase from its old location, Fearing says. Many of those people are young, and they have a different set of expectations, he says. "In our youth group, almost all of our participants have GSAs [Gay-Straight Alliance] clubs in their schools," Fearing says. "Just 10 years ago, most of the youth that participated in our programs were not out at school and were not out to their families. Now most of them are out everywhere." 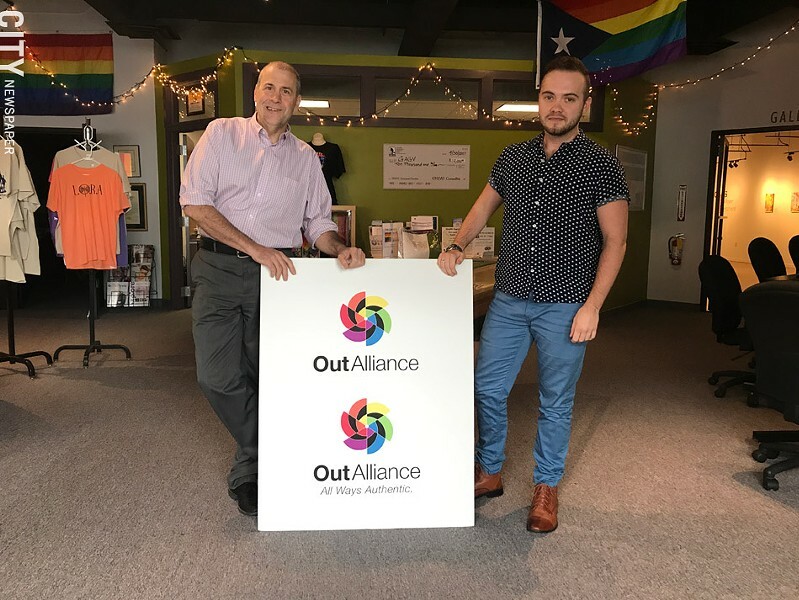 Gay Alliance Executive Director Scott Fearing (left) and Education Coordinator Rowan Collins, with the organization’s new logo and signage. Fearing and Rowan Collins, the Gay Alliance's education coordinator, say they've learned through focus groups and surveys that many younger people hear the word "gay" and simply don't connect to it. "They still understood that at the core is this generic aspect of 'gay' as an umbrella term, but it felt old-fashioned to them," Collins says. "And it didn't really mean acceptance of who they are." Even Collins admits that at one time he had little interest in the Gay Alliance. He first heard about it when he was a sophomore at Nazareth College, he says. A friend who was on the Gay Alliance's speakers bureau encouraged him to get involved, but Collins says he had trouble getting past the name, specifically the reference to "gay," because he didn't think it included him. "I had to be convinced," Collins says. Collins isn't alone. Some activists preferred the "LGBTQ" acronym because, they said, "gay" seemed to refer mainly to white men. And by the early 2000's, "gay" had become the annoying pubescent expression for someone or something that is different and distasteful: an invitation to marginalize or bully. Another reason for the name change is that sexual orientation and gender identity are beginning to be seen more as a spectrum, with fluidity that may change during the course of person's life, says Fearing. Some of the people the Gay Alliance serves have specific issues that they want to deal with around trans and gender identities. "They would call and say, 'You're the Gay Alliance; do you know if there is a trans alliance?'" Fearing says. Currently, the Alliance's largest support group is for people who identify as transgender or don't identify with a gender at all. After months of research, including examining the names of nearly all of the other LGBTQ centers around the country, Fearing knew he didn't want to lose the word "Alliance," because it remains a crucial part of the organization's identity. Being out can mean different things to different people, Fearing says. It's inclusive at every stage of life, he says. "Being out in an authentic way means discovering your truth and to live that truth," he says. "Whether you're out as an ally, out as gender variant, or out as a gay man, it's all about being authentic in your life, how you live, how you present yourself, and how you love. That's the unifying piece today." Out Alliance is having a coming-out block party to celebrate the organization's new name on Wednesday, October 11, from 5:30 p.m. to 7:30 p.m., at 100 College Avenue. Though Fearing is optimistic, rebranding a well-established organization that has strong name recognition is something many marketing experts would advise against. "Eastman Kodak," for instance, is still a name with value, even with all of the company's recent troubles. Fearing knows there's some risk involved with the name change. He doesn't want to offend the organization's older and long-time supporters, many of whom are gay men and lesbians who have an emotional investment in the Gay Alliance. Some of the organization's staff members have already heard from these older members, who say they are concerned that what they fought so hard for is being forgotten or disrespected. The Gay Alliance of the Genesee Valley is the oldest continuously operating LGBTQ center in the state and one of the oldest in the country. Similarly, the Empty Closet, which the Gay Alliance publishes, may be the longest-running newspaper of its kind in the country. (The Washington, D.C., Blade began publishing before the Empty Closet, but stopped publishing for a while, Fearing says.) And Fearing doesn't want to lose the legacies of the organization and its newspaper. He points to the Gay Alliance's SAGE members, a group of elderly LGBTQ adults, who remain actively involved with the organization. Some are there twice a week for yoga classes, and often they meet afterword for lunch or another social activity. Some of them have fought the battles of the past and are still confronting discrimination as they age, Fearing says. "I understand this concern," Fearing says. "As an older guy and as someone who was around when the movement was really trying to find its legs in the 70's and 80's, I would like to think that the ground work that we did is going to remain solid." But some might argue that "gay" is hardly an obsolete term, and despite the significant progress that the gay rights movement has made, some of its ground work is shaky at best. 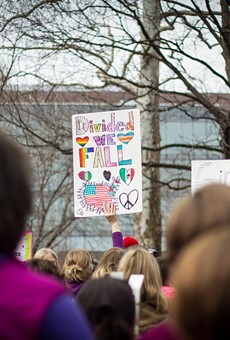 Even though organizations like the Gay Alliance have played a role regionally in everything from education about sexual orientation to marriage equality, the movement is not over. That point was made recently by New York Times columnist Frank Bruni. "All my life I've loved Texas: those big skies, big steaks and big attitudes," Bruni wrote. "But Texas doesn't love me back. Certainly its lawmakers don't, and lately they've been hellbent on showing that. In June, the governor signed a bill allowing child welfare groups to refuse adoptions that contradict their 'sincerely held religious beliefs.' They can turn away gay men like me." "There's no such thing as LGBT life in America, a country even more divided on this front than on others," Bruni wrote. There's "LGBT life" in a handful of states: New York, Maryland, California, and Oregon, he wrote. But many of the other states have old anti-LGBT laws on the books, and some, like Texas, Kansas, and Mississippi, are actively pursuing more. And employment and housing protections, safety, and equality for LGBT people are not things to expect under the Trump administration, Bruni says. Fearing and Collins wouldn't argue with Bruni's point, and they're hoping to reassure Rochester's LGBTQ community that the Gay Alliance's history is being preserved rather than forgotten. Nor do they have any misconceptions about the needs of the broader gay rights movement. "The truth is, the work we're doing shows that we will not forget about the past," says Fearing. "History is always a part of the conversation. We remind folks where we've been." But working in a social-justice movement requires having hindsight, insight, and foresight, says Fearing. "I realize that things need to change in order to stay relevant," he says. "I don't want us to end up on the dust heap of history as one of those organizations that closed because we couldn't keep up with the times." Nowhere is that change more evident than in some of the Alliance's youth activities. Ten years ago, if parents called the Alliance during one of the group youth activities, asking if their child was there, the Alliance policy was for staff to first ask the young person whether they felt safe talking to the parent. "We never would admit that we knew who they were or whether we knew if that person was here," Fearing says. In other words, they wouldn't out them. While there are still many young LGBTQ people being rejected by their families and are homeless, a lot has changed, Fearing says. "We have more moms and dads and grandmas and grandpas volunteering their time to work with us than I have ever seen in any organization," Fearing says. "Now when we do our dances here, my favorite thing is I stand here on the sidewalk and greet families as they drop off the kids."